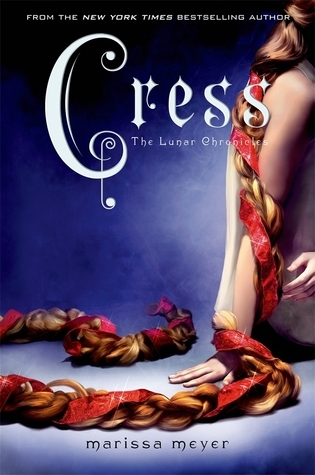 Cress Book Review | Sci-fi | Retelling | The third book in The Lunar Chronicles by Marissa Meyer continues to astound me. 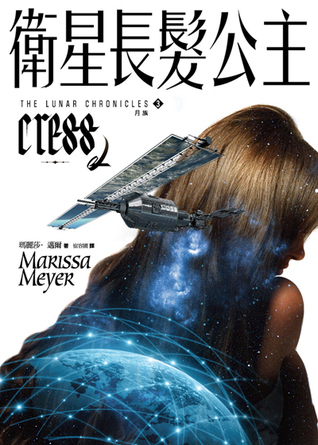 My review for the third book in the Lunar Chronicles by Marissa Meyer whoo let’s go. I loved this book, as I am writing this I have finished the whole series, and this review may contain spoilers for Cinder or Scarlet, you’ve been warned. I have reviews for Cinder and Scarlet already up so reading those may be helpful for you so you understand my opinion. Now let’s dive in. If you’ve read any of the previous books in the series I don’t really need to convince you to read this one, and if you haven’t then you really shouldn’t be reading this review but just in case here is a quick (spoiler free) synopsis. 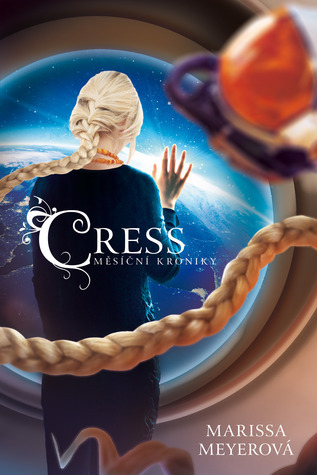 Cress is like Rapunzel (in fact she’s quite similar to the Disney retelling – Tangled) in that she has been locked in a tower satellite for most of her life and has limited no interaction with the outside world. She has an evil mother thaumaturge that visits her every so often and really doesn’t care for her in the slightest. One day our little Rapunzel Cress manages to escape (due to her own daring and with the help of our crew of misfits) however things don’t turn out exactly as she wanted and Cress is launched into a world of danger, hot men (Thorne) and nearly dying in *gasp* the outside world. Oh also Cinder is trying to figure out how to stop Kai from marrying Levana and reclaim her throne. 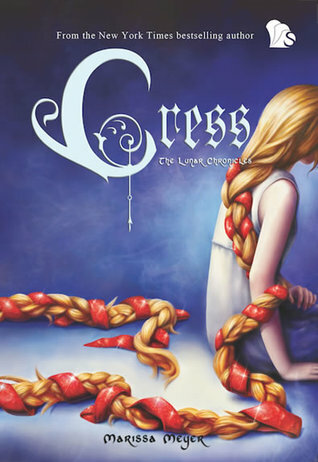 I actually really like the cover for Cress. Let’s hope this isn’t too long because I will be comparing the covers to the covers for Cinder and Scarlet because covers for one country NEED to be the same in my mind. The US/UK/AUS cover (also the Italian cover is basically this but with a different font for the title) – I love it, it’s classy and simple and fits in well with the rest of the covers. I have always loved people with long hair and her hair is so nice. Indonesian cover – well… this looks like fanart of the main cover (aka the us/uk/aus cover) but I actually really like it. Most importantly the cover fits with the Indonesian Scarlet cover, I don’t like it as much as that cover which was one of my favorite but it’s still nice. 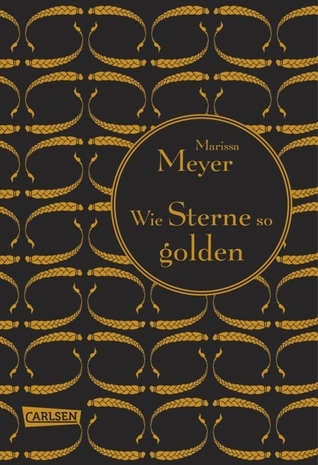 German cover – well well well, look who it is. The German cover and I are not on good terms. The one for Scarlet weren’t super bad and I had hopes for this one but naaaa I don’t like it. Although at least it is better than the Cinder one. 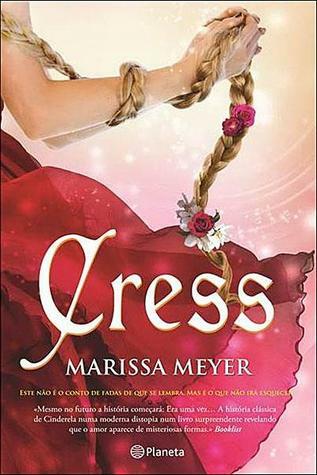 Czech cover – this one actually reflects the plot and omg it goes so well with the Czech Cinder cover, it’s super pretty. Although what is that thing on the top right looped around her hair??? 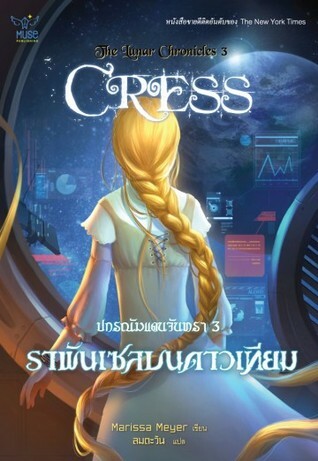 Thai cover – this one works with both the Cinder and Scarlet cover (even though they aren’t super alike) and I have to say I don’t love this cover compared to the Thai cover for Cinder and Scarlet. It isn’t horrible though. Portuguese cover – it’s pretty, and it does kind of go with the other Portuguese covers but it feels like it tells you nothing about the story. When does she even get flowers in her hair? 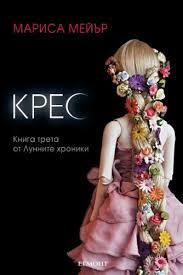 Bulgarian cover – well it’s another creepy doll good job Bulgaria. Well it tells us nothing and it looks creepy but at least it somewhat matches with the other Bulgarian covers. Chinese cover – I like how there is more space stuff in every one of these Chinese covers. The Cinder one wasn’t great but the Scarlet one was really cool and the Cress one is amazing. I actually really love this cover. Swedish cover – it’s similar to the Cinder cover for Sweden but this one is kind of ugly… why is she crying? Also is she wearing no clothes?? 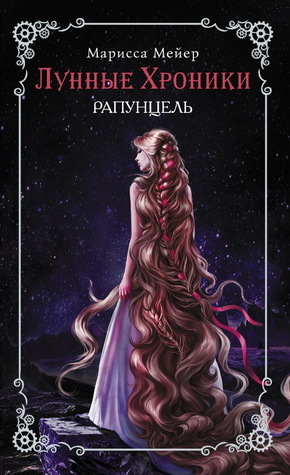 Russian cover – it’s pretty. I actually really like this cover, her hair is so pretty and that red ribbon is exactly the same as in the main cover which is good. Korean cover – this fits well with the other Korean covers and I am super happy about that. 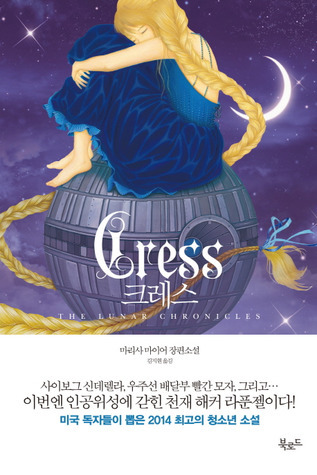 I don’t love it as much as the Korean covers for Cinder and Scarlet but it’s nice. which is your favorite cover? I think my favorite are the French, Czech and Chinese ones. Once again this book ruined me. Especially the end, I had so many emotions. It was super frustrating how Cress finally met up with the rest of the crew and usually I don’t like miscommunications like that but it was super amazing and it kept me really interested. I had to push the book away a few times because I was so frustrated and filled with anticipation for when it finally happened. I really liked Cress, she was a real contrast to Cinder and Scarlet because she was a bit more chill and easy going. She was a bit naive and overly romantic which got annoying at times but was cute. I liked how she fitted into the group dynamic and seeing her outsider’s perspective on the characters was cool. Her relationship with Thorne was super cute and I hope that she pushes him to be nicer because I kind of didn’t like him in the second book. I liked seeing the whole squad together and it was good to get more scenes from Kai and Cinder, because I really liked them. The Lunar magic was super amazing and there were a bunch of super cool plot twists that I was able to connect and feel happy that I had some realizations. Scarlet and Wolf’s relationship was kind of lacking in this book but they are still cute together and the scenes where they were together were really nice. I think the best thing about this book and the whole series is the world building, it is similar to our world but so much better. The sciency elements are super cool and I love the political things and feelings of different parts of the world that they visit. There were a few little plot things that didn’t quite make sense to me, but I still loved the whole book. I really liked the bit at the end when they were being really clever, there was so many things that were epic and even though I doubt it would be that easy their plan was super cool to read about. So yeh basically I loved this book and I am so ready to pick up the last one and read it. Cress was amazing. She wasn’t super strong and heroic but she had her talents and her moments of awesome and incredible feats. She is basically every fangirl. I loved her. Thorne really came into his own this book. I actually didn’t like him much last in Scarlet but actually getting to know him in this book as more than a semi-stereotypical background figure was amazing. He is actually so sweet under it all and I admire the vital role he plays in keeping everyone laughing. His wit is so precious. Kai!! my fav, my son, the character I wanted needed more of considering he wasn’t really in Scarlet. He was in this book. Like so much. I am so happy. I love him. There was a bunch of things that were connected and it was like playing a game trying to find all the clues and piece them together before it was revealed by the author and I loved that. I loved having those moments of realization. The interactions of the characters. I don’t want to give too much away but there are some really tense scenes between some of the characters that had me on the edge of my seat. I love when books do that. There is a really clever heist/rescue mission/robbery and can I just say I LIVE for that stuff (which is why it’s such a surprise I still haven’t read Six of Crows) but seeing it unfold was so satisfying. I love when books do clever stuff. Applause for the politics that managed to be present without dominating the book – I love a good political novel but I know a lot of people don’t and this book managed to balance the two aspects really well. Cheers of excitement for the technology – I love this futuristic world that Marissa Meyer has created, the tech is realistic and not to different from our own but just a little but magical. This has made me want to write a sci-fi novel. Wolf was kind of a let down in this book. With Scarlet elsewhere he was really mopey and I understand it… but I still didn’t like it. There’s basically nothing else. 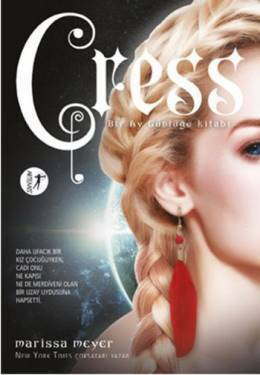 Cress is probably my favorite book in this series (and I can say that because I have finished them all) so I have no other things that I didn’t like. And again there will be no ‘similar books’ section but if you want to see some you can check out the end of my Cinder review where I give around ten books that are similar to The Lunar Chronicles. 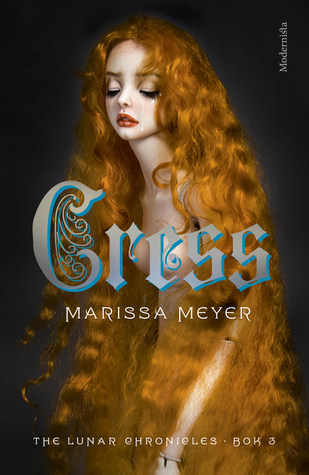 SAME, Cress’s cover is my favorite too. I love all the different covers, and The Lunar Chronicles seems to have so many. I agree that Jacin and Winter got better – by the end of the last book I loved them too (even if it was maybe a little bit less than I cared about the other characters). Yeah, but the cover is so beautiful I don’t even care haha. I really loved this book too! I’ve already read it twice but I think I’m going to have to read the series again after reading your review. You should go for it, I have just finished the series for the first time and I am definitely feeling the pull to reread. 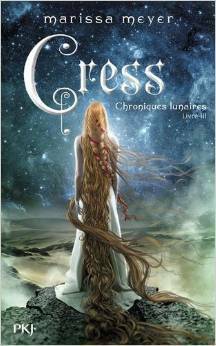 That French cover for Cress is absolutely gorgeous. I agree, Cress is such a contrast to the previous two protagonists. Thorne also brings a lightness to the series, but I like that Cress also helps with lightening the story. Glad you enjoyed this one. Ahh yes, that French cover is amazing. And it’s good to have some less serious characters to balance out the intense stories of Scarlet/Wolf and Cinder/Kai. YAY! I’m so glad you liked this, I LOVE The Lunar Chronicles, it’s right up there with Harry Potter. It’s THAT amazing… Good post, have a good day. I totally agree, The Lunar Chronicles is totally up there with Harry Potter. I totally agree, Cress’s squishiness was so good to see and Thorne omg their chemistry was so amazing. Thankks for the tip on name pronunciation, you’d think us readers would be used to the odd names by now but nahh.